If a contractor is terminated for default on a federal project (really, any project), the objective for the contractor is to convert that termination for default into a termination for convenience so that the contractor can get paid for work performed and associated profit on that work through the date of the termination. For more information on termination for defaults and convenience, check out this article and this article. The Armed Service Board of Contract Appeals (ASBCA) decision, Nelson, Inc., ASBCA No. 57201, 2015 WL 959241 (ASBCA 2015), provides an example of the government terminating a prime contractor for default where the prime contractor argued the termination was improper. The prime contract called for the construction of stone dikes at four sites along the Mississippi River. Each site had separate pricing, separate notices to proceed, and separate performance periods and durations for the construction of the stone dikes. After the prime contractor had started to perform at two of the four sites, the government terminated the prime contractor for default based on the prime contractor’s failure to timely perform in accordance with the schedules for those sites. 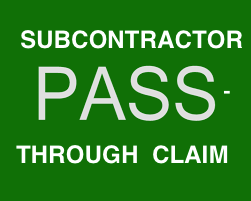 (a) If the Contractor refuses or fails to prosecute the work or any separable part, with the diligence that will insure its completion within the time specified in this contract including any extension, or fails to complete the work within this time, the Government may, by written notice to the Contractor, terminate the right to proceed with the work (or the separable part of the work) that has been delayed. In this event, the Government may take over the work and complete it by contract or otherwise, and may take possession of and use any materials, appliances, and plant on the work site necessary for completing the work. The Contractor and its sureties shall be liable for any damage to the Government resulting from the Contractor’s refusal or failure to complete the work within the specified time, whether or not the Contractor’s right to proceed with the work is terminated. This liability includes any increased costs incurred by the Government in completing the work. This case focused on the language “separable part” in F.A.R. 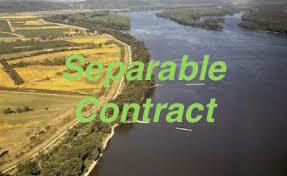 52.249-10(a) to determine whether the government properly terminated the prime contractor from ALL four of the sites along the Mississippi River when the termination focused on the prime contractor’s delay at only two of those sites. “The government has the burden of proving that the termination for default was justified.” Nelson, Inc., supra, citing Libson Contractors, Inc. v. U.S., 828 F.2d 759, 764 (Fed. Cir. 1987). 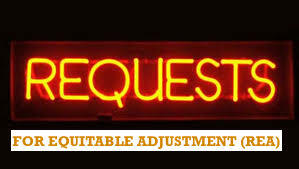 When a contract is separable, or divisible, “and a contractor is delinquent only as to a separable part of the contract work, it is improper for the contracting officer to terminate for default the entire contract.” Nelson, Inc., supra, citing Overhead Electric Co., ASBCA No. 25656, 1985 WL 16703 (1985). The ASBCA found that the four sites were separable because each site had separate performance periods, notices to proceed, and pricing. The commencement of the prime contractor’s work at one of the sites was not dependent on or related to its completion of work at another site. (To support the divisibility of the work, the ASCBA stated: “Work at each of the locations did not involve sequential or incremental and interdependent progression of construction, e.g., of one building or levee at one contiguous site.” Nelson, Inc., supra.) Therefore, the ASBCA found that terminating the prime contractor for default from all four of the sites was improper since the prime contractor’s work was separable (and the government based the termination on delay of two of the four separable sites). Importantly, even when a prime contractor challenges a termination for default claiming it should be converted to a termination for convenience, the prime contractor needs to comply with the Contract Disputes Act. In other words, the prime contractor needs to submit its termination for convenience costs / claim. 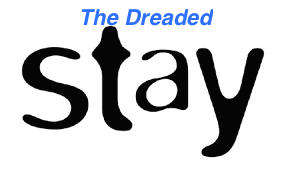 For more information on this important issue, check out this article.